Edit your ivy files easily in eclipse with the IvyDE Plugin editor. IvyDE brings creation wizard, html preview and completion for Ivy xml tag, attributes but also for attributes' values! Choose an organisation and browse thru its projects and revisions. 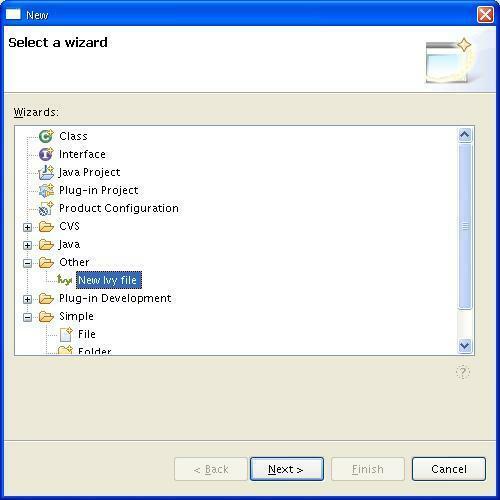 IvyDE comes with a wizard that allows you to create an ivy.xml file for your project. When the form is correctly filled you can press Finish button. Eclipse will automatically open the Ivy editor. 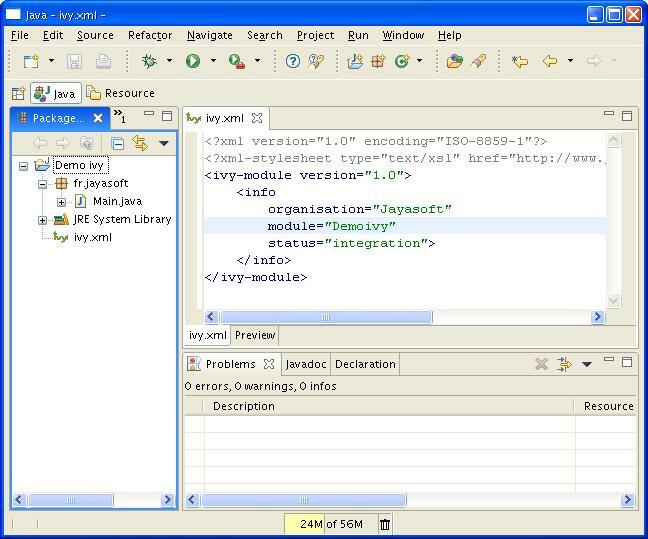 The Ivy's eclipse editor provides xml syntax coloration, tag completion, tag's attribute names completion, and for dependency and configuration tag value completion. Completion comes with contextual help. The completion popup is displayed when hitting simultaneously the CTRL and the SPACE keys. Tag attributes: when your cursor is placed in a tag bracket the completion show available attributes for the enclosing tag. Attributes values: when your cursor is placed in the quote of an attribute value the completion shows available values for the matching attribute. dependencies/dependency: org, name, rev are resolved thanks to Ivy using the ivyconf set in the project Ivy preference page. 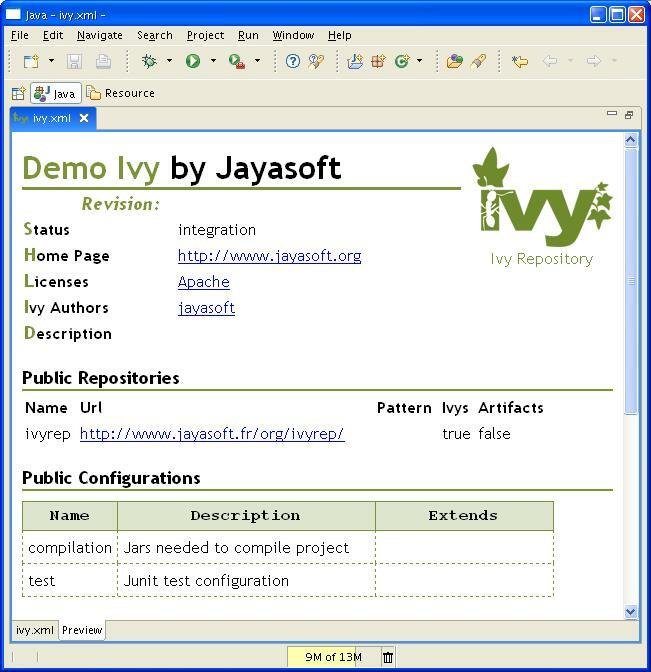 If not set to "default" Ivy uses its defaults resolvers configuration (ie ivyrep + ibiblio), and if not set Ivy uses the ivyconf set in the Eclipse Ivy preference page. conf values are computed from current ivy.xml file and the dependency ivy.xml file if any. Ivy editor is a multi tabs editor. Located on the bottom of the editor you will found a tab named preview that allows to view the ivy file as an html file.